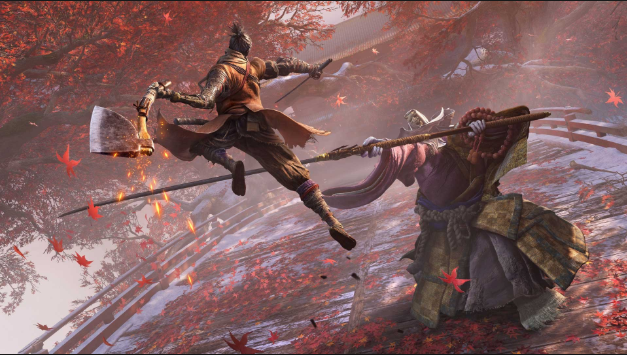 A big part of the new design has to do with Sekiro’s other system besides combatâ€Š—â€Šas From Software embraces Assassin’s Creed. As with other stealth games, all your bread and butter moves are hereâ€Š—â€Špeaking around walls, hiding in tall grass, stealth kills from above, and more. If you are spotted, you can leave an area and wait a few seconds for the enemies to disengage. When the posture bar is filled, you are able to perform a “deathblow” on an enemyâ€Š—â€Šinstantly killing minor enemies. All the while, the enemies will be attacking you. You have your own posture bar and can be staggered if you block too many attacks. 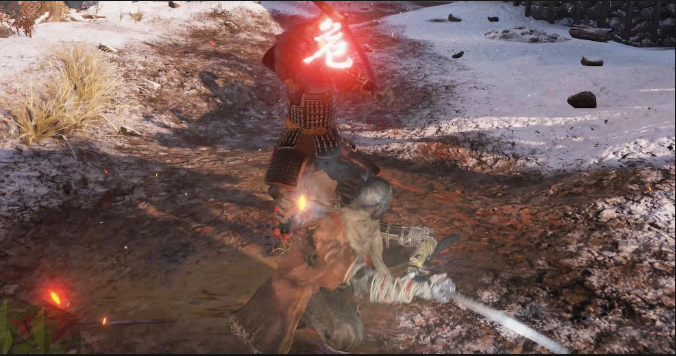 You’re going to quickly find in Sekiro that attacking is the best strategy for combat, which is an odd thing to say. Playing defensively will not move the battle alongâ€Š—â€Šyou need to get at the enemy and learn its tells to start doing either health or posture damage. The general rule of thumb is that dodging is always the best defenseâ€Š—â€Šit avoids the attack and lets you do damage, making it easier to then start parrying. However, every enemy is different: some enemies are too dangerous to parry, other ones may have so much health but can’t reduce posture easily. 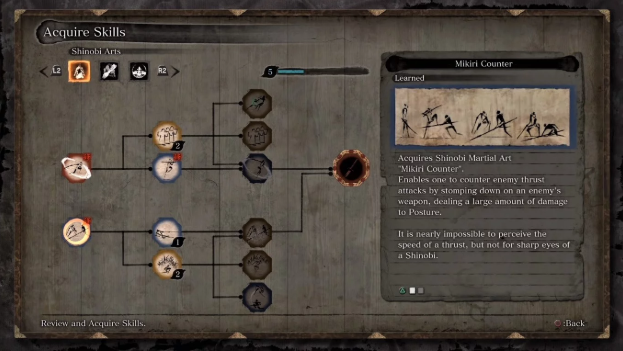 Compounding matters was that I noticed Wolf getting animation locked if he gets hitâ€Š—â€Šmaking the player take more damage if any part of a combo connects. The game also doesn’t recognize that you’re holding the block button if you are hit, you have to reapply block for the game to start blocking again. Further up, I talked about the game’s three defenses,parrying, dodging, and jumping, and how they were built to counter specific attacks. The biggest frustration is when enemies perform their unblockable moves. You get a massive Kanji symbol on screen that doesn’t tell you what to expect. Misread the animation,or not see it due to the camera,and you’re going to take a lot of damage or die outright. I had a lot of problems with the camera system that compounded matters. The entire point of Karateka was that you were only able to react to the enemies,ou could not instigate your attacks, but had to respond to theirs. Enemies will always auto-block when you attack them regardless of angle. 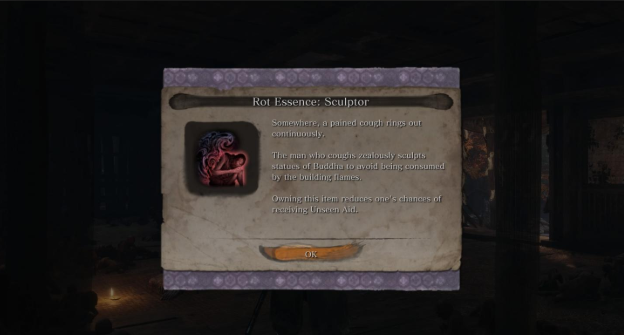 I’ve noticed that the individual enemies have less attack patterns compared to the Souls series; most likely to compensate for the fact that the player has to read the patterns more closely and because of the overall increased number of them. The stealth design could have been more developed; especially with how much it is a core gameplay system. Once an enemy spots you, all enemies in the area know where you are. Even if you break line of sight, they can still hone in your position regardless. Given the size of the environments and all the ways of moving through them, I was really hoping for more uses of stealth and the environmentâ€Š—â€Šlike the environmental kills from Hitman. And speaking of stealth, I found the ceramic pots that you could supposedly throw to distract enemies not working at all. 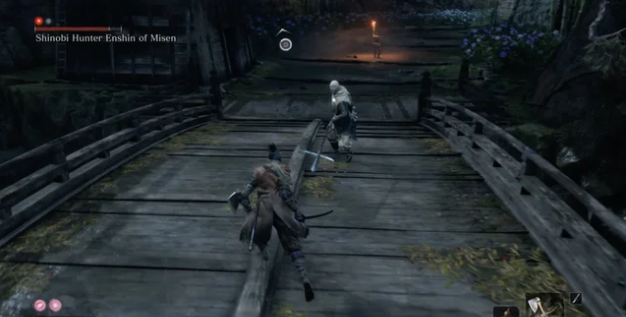 I can see Sekiro becoming a speedrunner’s favorite game, because it is so mechanical in its design --to the point that I could see something along the lines of a TAS (tool-assisted speedrun) being set up for it. Regardless, this is a game that is going to be talked about by action fans for months to come, whether that’s good or bad remains to be seen.